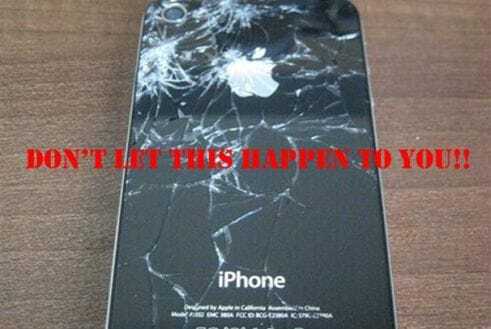 Attention all iPhone 4 users. We all know you love your new toy, and there is nothing more beautiful than your sleek, new piece of hardware that is more like a new addition to the family. But fact is, 82% of iPhone 4 glass screens break more than iPhone 3GS screens. So if you are one of the lucky ones who this has not yet happened to, I recommend that you get yourself a case to prevent being added to the majority who have had screen cracking issues. If you are one of the 82%, then you know where I am coming from. The following list comes from PC World, where a non-iPhone user (like myself) asked the community on Twitter which were their favourite, lightweight yet effective cases for the iPhone 4. This is your reply. The first of the cases is the Incase Snap Case, highly recommended within the iPhone 4 community, it comes in 3 colours and offers access to all appropriate buttons costing $34.95. Speck CandyShell comes in ten colors, that includes two festive holiday designs. It’s thin, has a hard shell and soft rubber lining, and bezel and button covers. Ranges from $29.99-$34.99. Other options consist of the iFrogz Luxe Original Case ($29.99), the Speck Fitted Case ($29.99), the Sena Magnet Flipper being one of the most unique flavors, including belt-clip and leather-finish options ($52.99), the OtterBox Commuter Series Case ($34.95), and last but not least — the Incase Slider ($34.95). All the above can be checked out with more thorough descriptions by checking out the source below. Now you know the statistics for iPhone screen breaks, will you finally give in to the case market? I recommend that you do! Previous article BlackBerry Curve 8980: Curve 8900 Successor Better Than Bold 9700, 9780? Next article Gran Turismo 5 vs Forza 3: How Realistic Are They? BlackBerry Curve 8980: Curve 8900 Successor Better Than Bold 9700, 9780? Gran Turismo 5 vs Forza 3: How Realistic Are They?